Bella Celebrations is a professional wedding and special event planning service. We offer full service event planning, event design, event coordination, event consultation and everything in between. We also offer party planning, social event planning and quite a bit of corporate event planning as well. Bella Celebrations' strength is on planning and producing remarkable, flawless events from design to execution. We specialize in Napa and Sonoma Wine Country events, Marin County events, San Francisco events and events in the general San Francisco Bay Area. 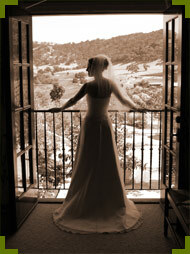 We have planned hundreds of weddings and special events throughout Northern California. We know that each and every client and event is unique! Whether you are planning a contemporary wedding for 200, a fundraising event for 1000, or an intimate birthday party for 50, Bella Celebrations brings that special attention to detail to make your event memorable. Training, knowledge, and experience will turn your dreams and expectations into reality. Dina Balatti, the owner of Bella Celebrations, was born and raised in Marin County, California. She attended U.C. Berkeley, earning degrees in Sociology and Psychology. Her career has spanned marketing, advertising, event planning and catering, always with a strong focus on integrity and client service. Dina is a certified wedding planner, earning her Wedding Consultant Certification from California State Hayward. The Wedding Consultant Certificate Program is endorsed by the Northern California Chapter of the International Special Events Society (ISES). Dina is actively involved in the Wedding Industry Professionals Association (WIPA). WIPA is the first national non-profit wedding association specifically for professionals in the wedding industry. Dina has served as 2010 Director of Programs for WIPA, and has been on the Programs Committee since 2009. Dina has also served as President of the Northern California Chapter of June Wedding, Inc., an internationally renowned and respected membership organization of wedding and event professionals. In these roles, Dina has the opportunity to plan networking events for industry professionals, enabling her to stay on top of current trends in the wedding and special event industry. Dina also has extensive experience working in sales, marketing and event management for renowned catering companies in Marin and Napa, which gives her the added advantage of knowing the ins and outs of the catering business - providing her clients with the extra edge. Dina has established herself among the top event planners in the Bay Area and she's gained the respect of her peers which whom she's created solid and friendly working relationships with.